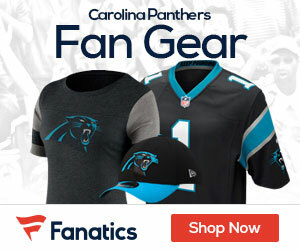 After the dismal Week 5 game Cam Newton played against the Seattle Seahawks, you can expect the haters to come out in full force against the second-year Panthers quarterback. In fact, they already have: the tide of public opinion has been turning against Newton all season, and there were whispers about the dreaded “sophomore slump” before the year even began. I’m usually averse to using the term, but this season does have all the hallmarks of a disappointing second season. Most of it isn’t Newton’s fault. First, there’s the win-loss record for the Panthers, which is a disappointing 1-4. Carolina is not a great team, and they did virtually nothing in the offseason to surround Newton with legitimate weapons. As has been the case in Carolina for a decade and counting, he is throwing to Steve Smith and no one else this season. Also, many pundits figured that the draft acquisition of Boston College tackling machine Luke Kuechley would solidify the Panther’s defense, ranked last in the league last year. However, as good as he is, he is just one linebacker. He can’t cover all of the opposing team’s wide receivers and tight ends, and Carolina’s D is thus still pretty lousy. There’s also been a strange if not entirely unexpected wave of outcry against Newton’s on-field behavior, too. Here was former Bears linebacker Hunter Hillenmeyer tweeting after Cam rushed for a touchdown against the Giants: “Cam’s celebration (all about himself, back to teammates) seems to sum up what he’s all about. Cam loves him some Cam.” Then, when Newton was benched in the fourth quarter of that game, Steve Smith lit into the young QB about keeping his head up. ESPN, naturally, ran wild with the story, turning this confrontation into much more than it probably was. I don’t think Smith meant to undermine his QB, but that is unfortunately exactly what happened with his remarks. However, this isn’t to make excuses for Newton’s play thus far this season, which has been subpar at best. It’s also true that many people’s expectations of Newton were based off inflated statistics from last season. 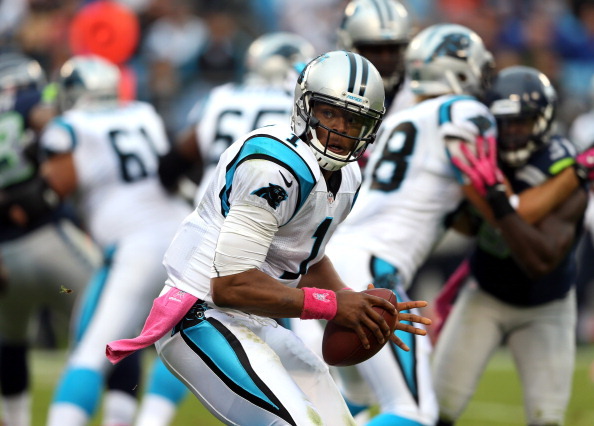 Newton’s play this season has been nothing less than an abject disappointment. His passing yardage has decreased each game, and he has only thrown multiple touchdowns once. Still, his struggles aren’t entirely his fault, and it’s not like a second-year quarterback has never regressed before. I may hate the phrase “sophomore slump,” but it exists for a reason. We know Newton has all the talent in the world and, at the very least, will continue to be one of the best rushing quarterbacks in the league. The Panthers need to put him in better positions to succeed with more conservative play-calling, like quick slants and screens, so that his confidence can be rebuilt. But all of the doom and gloom about Newton is silly; so what if he has a down year? Find me a quarterback that hasn’t had one. It’s part of the learning experience in the NFL, and hopefully Newton can build off of it. Lucas McMillan is a writer for FootballSchedule.me. To checkout the week-by-week Panthers schedule as well as the latest NFL and college football news, visit Football Schedule. Follow Football Schedule on Facebook and Twitter @FBSchedule.